Ben was born in Burton-Upon-Trent but relocated to Devon at the age of 8. Since then he has enjoyed growing up in the countryside, making the most of Devon’s outdoor opportunities such as Dartmoor and the beautiful beaches. Ben attended the University of Cardiff and graduated from the Business School with a degree in Accounting and Finance. As a proud member of the Finance and Trading Society, his passion for investments began to grow. On the rare occasion Ben wasn’t in the library studying, you would find him on the football pitch where he was a highly valued member of the university team. Out of term time, Ben took the opportunity to travel and experience the wonders of life outside of the UK. He has been on various trips around Europe, South America, Australasia and South East Asia, highlighting Vietnam and New Zealand as his personal favourites. 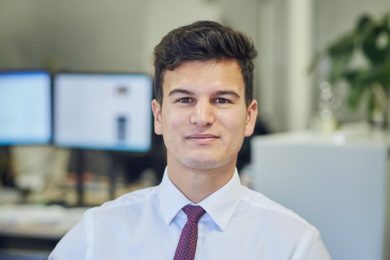 Ben joined Hawksmoor in October 2018 and in his spare time enjoys staying fit and healthy by participating in a range of sports.